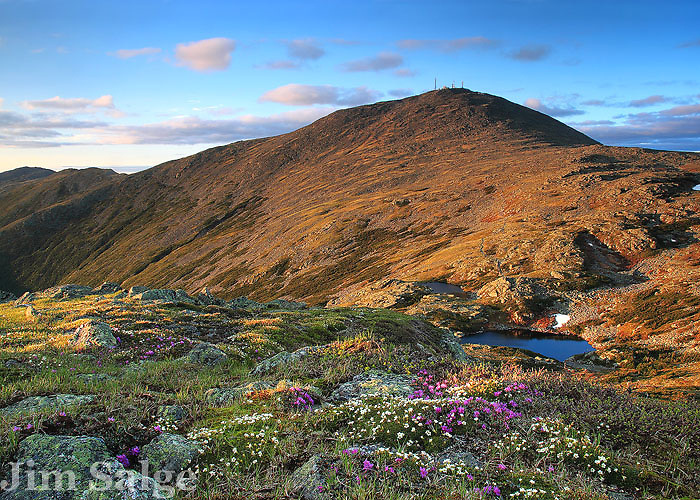 Mount Washington is an arctic island in the sky, with wildflowers that are extremely rare in New England. After enjoying an afternoon above treeline, I made my way to Mount Monroe for sunset. From there, I found a perfect patch of tundra in full bloom as the last light hit the upper slopes of Mount Washington.